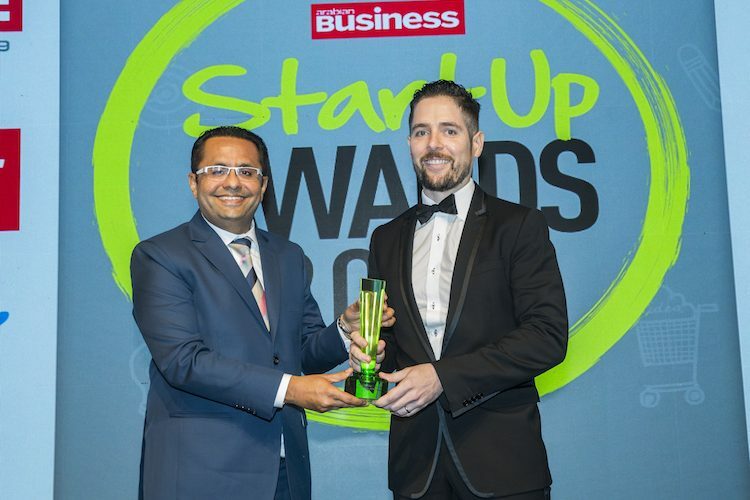 Paul Kenny, an established Irish technology entrepreneur in the Middle East, was named ‘Mentor of the Year’ at the 2017 Arabian Business Startup Awards, held in Dubai last week. Kenny, founded his first Middle East venture at the age of 25 and went on to launch a series of startups in the region before the age of 30. Currently a Managing Director at AYM, an investment holding firm specialized in breakthrough digital technology and online business in the Middle East, Kenny previously founded Dubai based online coupon website, Cobone. In 2012, he was named Ernst & Young Emerging Entrepreneur and Gulf Business Entrepreneur of the Year. At AYM, Kenny has partnered with Middle East entrepreneur Majed M Al Tahan and fellow Irish technology entrepreneur and developer, James Whelton, to build the biggest e-commerce grocery platform in the Middle East with the leading retailer in Saudi Arabia, the BinDawood group and their brand Danube. At the Arabian Business awards, Paul was recognized for his work with the Global Student Entrepreneur Awards (GSEA), where is involved with the UAE chapter. He is about to kick off a university speaking tour in the United Arab Emirates where he will guide student entrepreneurs who will compete for the UAE title and then move on to the global competition in early 2018. He has also spent considerable time this year helping young entrepreneurs from Japan bring their businesses to the Middle East through his work with the Japanese Government, Japan External Trade Organization (JETRO). On the recognition, Kenny said: “It is a privilege to work with aspiring entrepreneurs and I was humbled to accept the award. I consider it a great honour to be able to share from my career experiences with other ambitious entrepreneurs to support and advise in them in their own careers paths.” Kenny plans to continue mentoring, both in the Middle East and abroad.